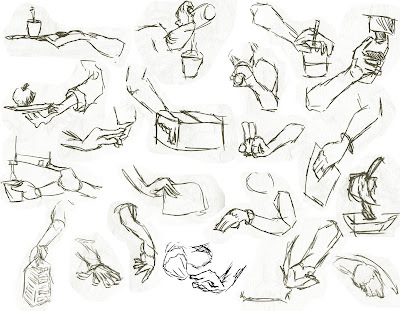 Here's composition of various hands. Need to work more on hands in general. Helps to visualize shape and complex structures.